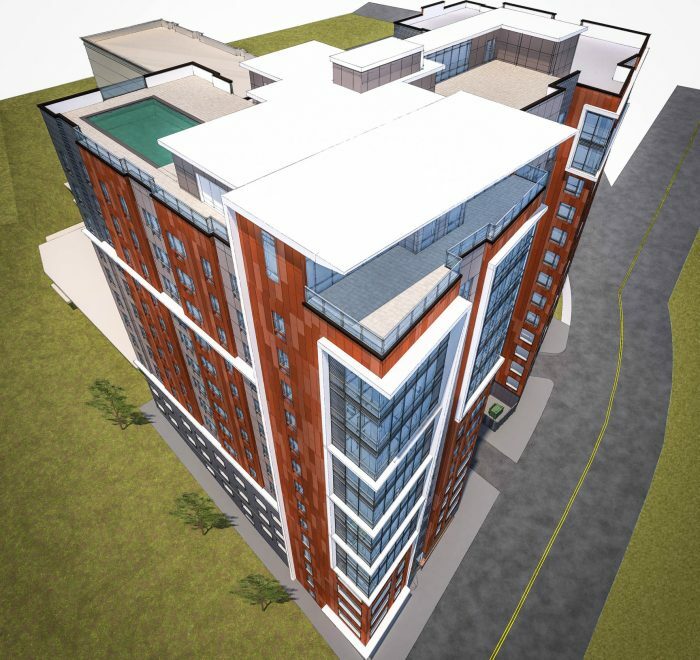 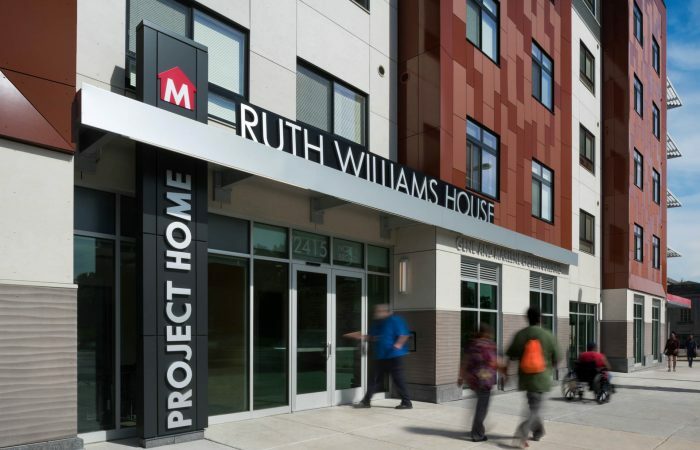 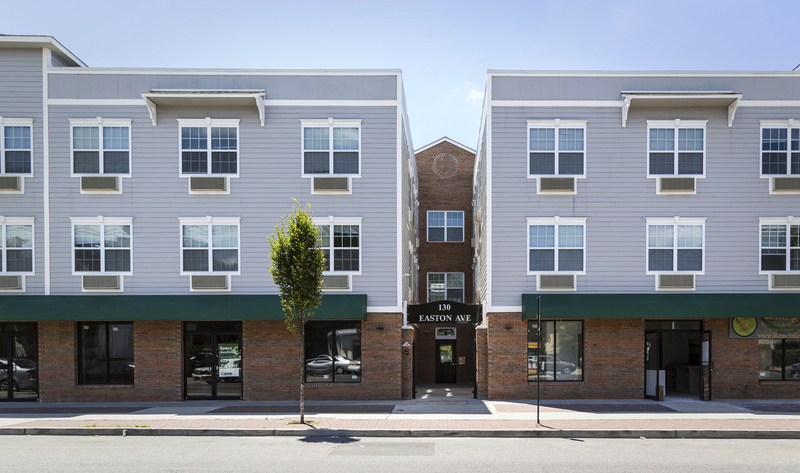 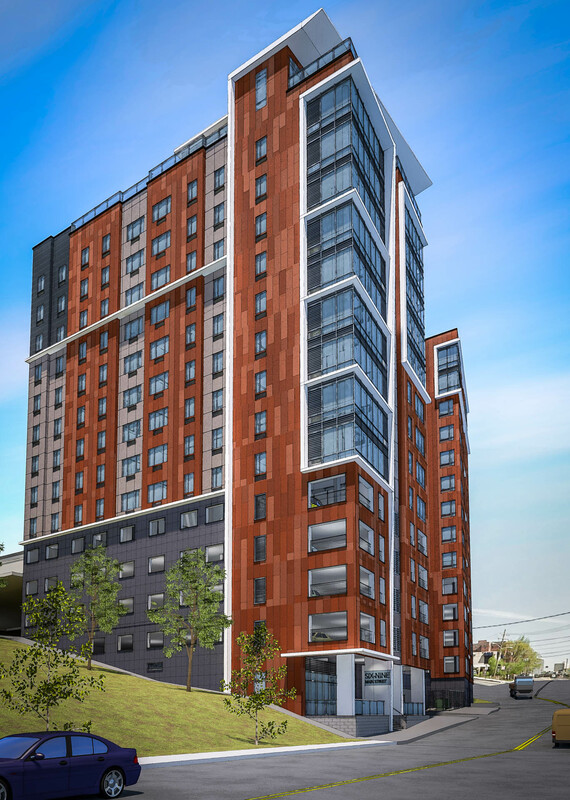 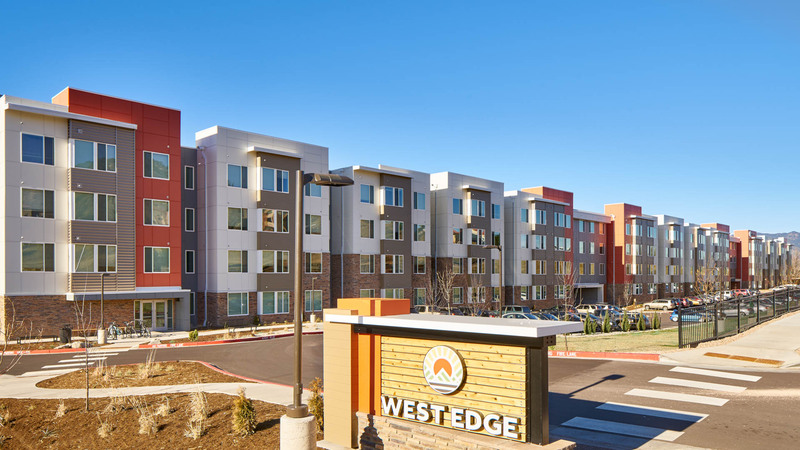 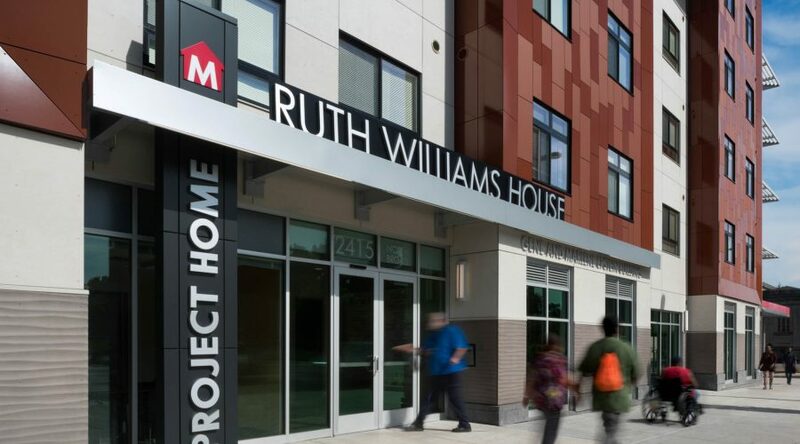 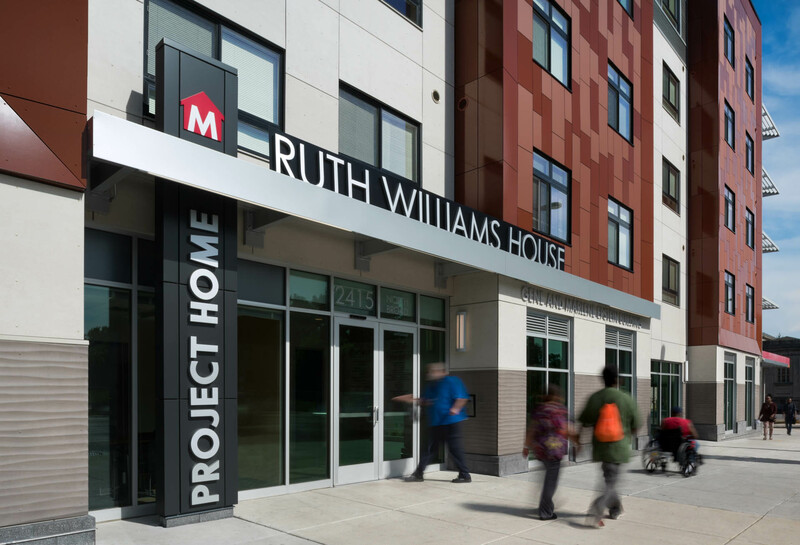 K&A provided complete architectural and engineering design services for this fifteen-story, 129-unit, high-rise development with mixed-income and supportive housing components. 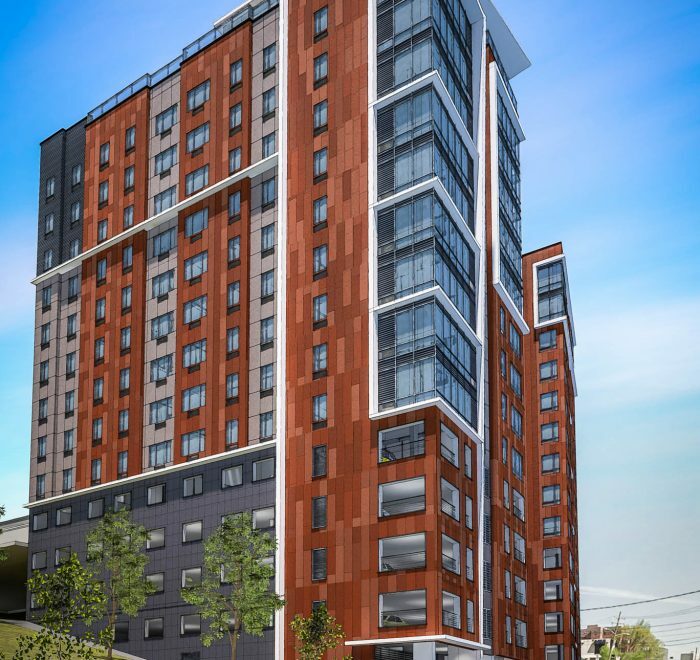 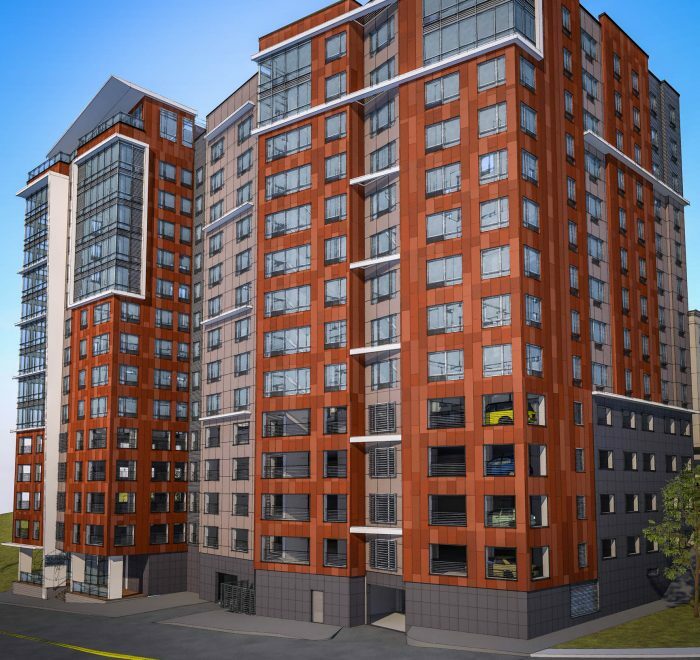 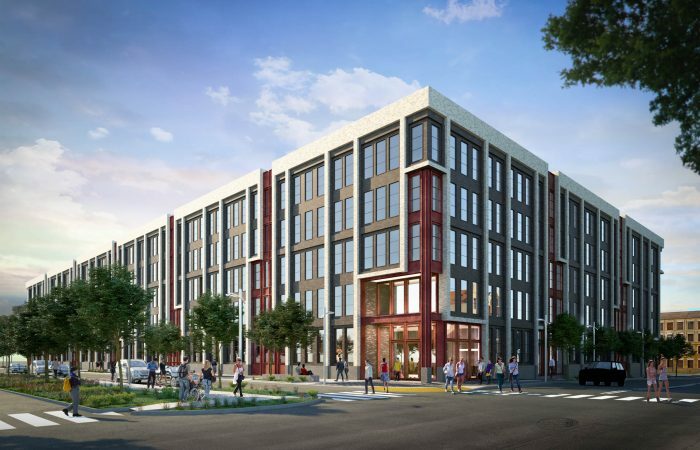 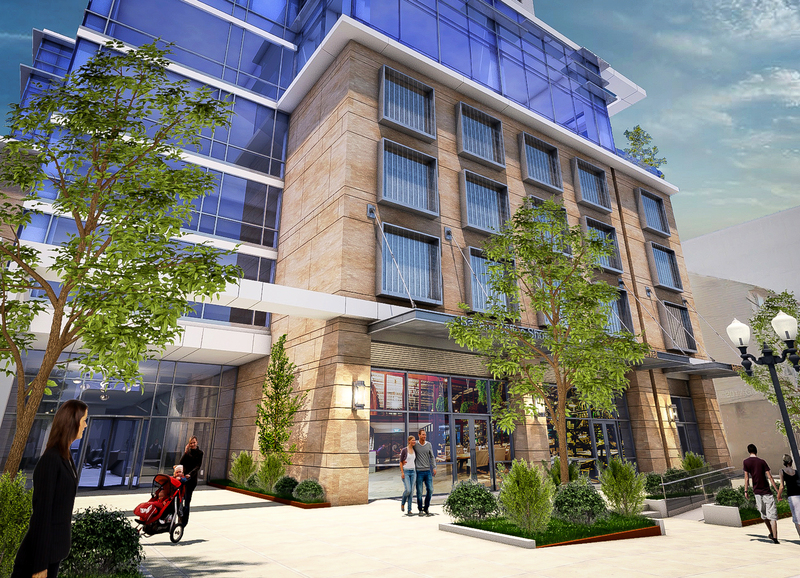 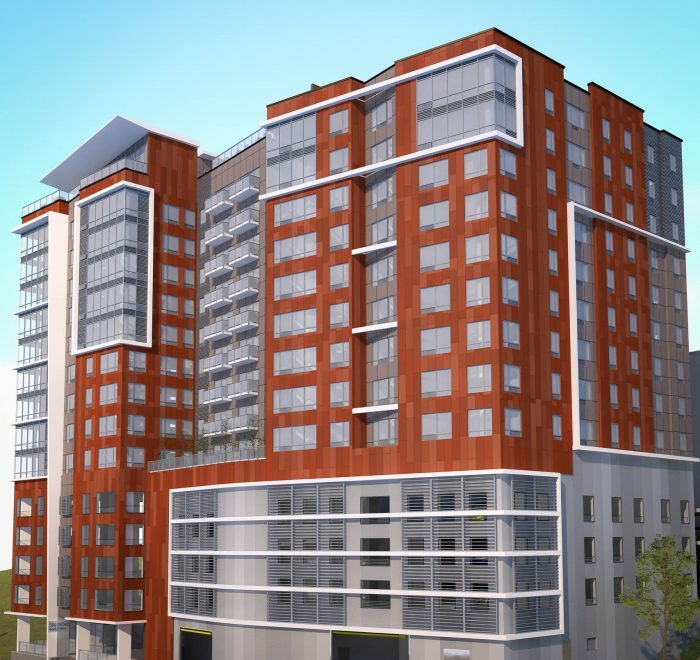 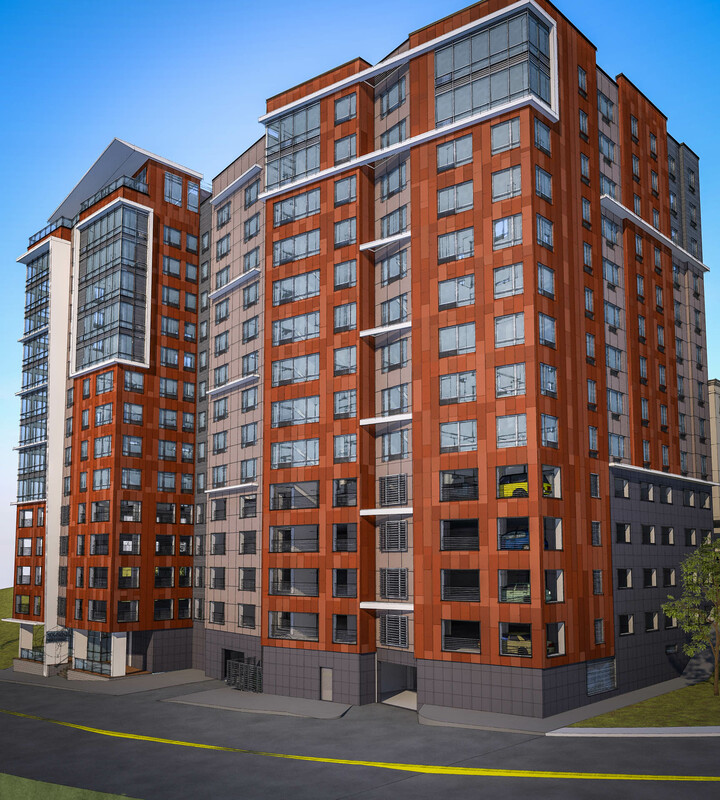 Located in downtown Fort Lee, New Jersey, on an extremely tight urban site, this project is an adaptation of a previously-approved site plan and building concept. 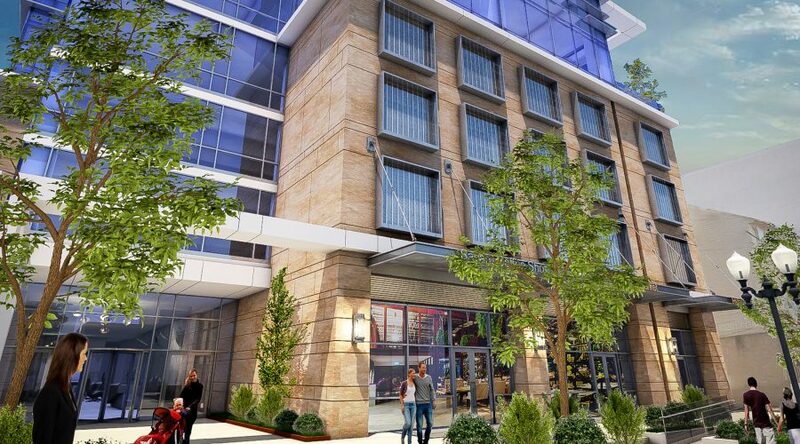 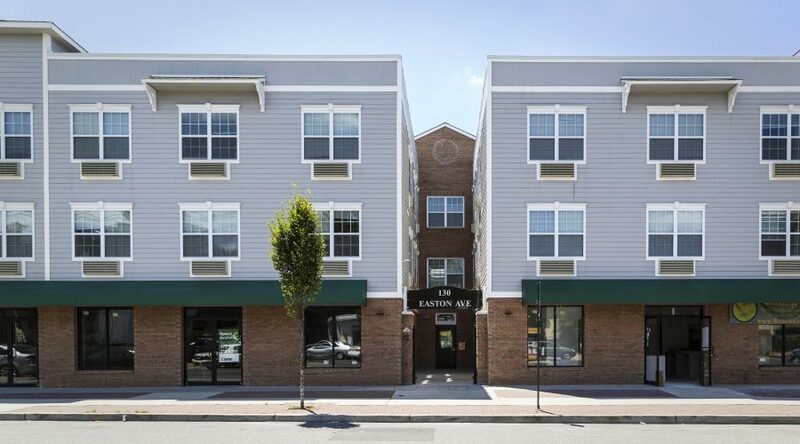 Fort Lee meets high standards with respect to mixed-income development, general amenities, and energy efficiency. 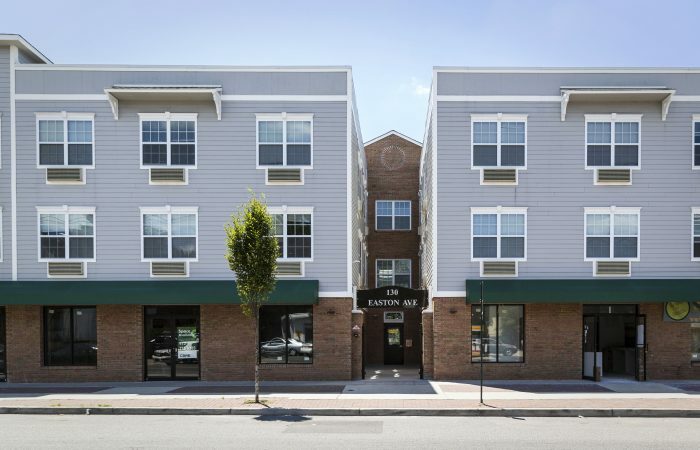 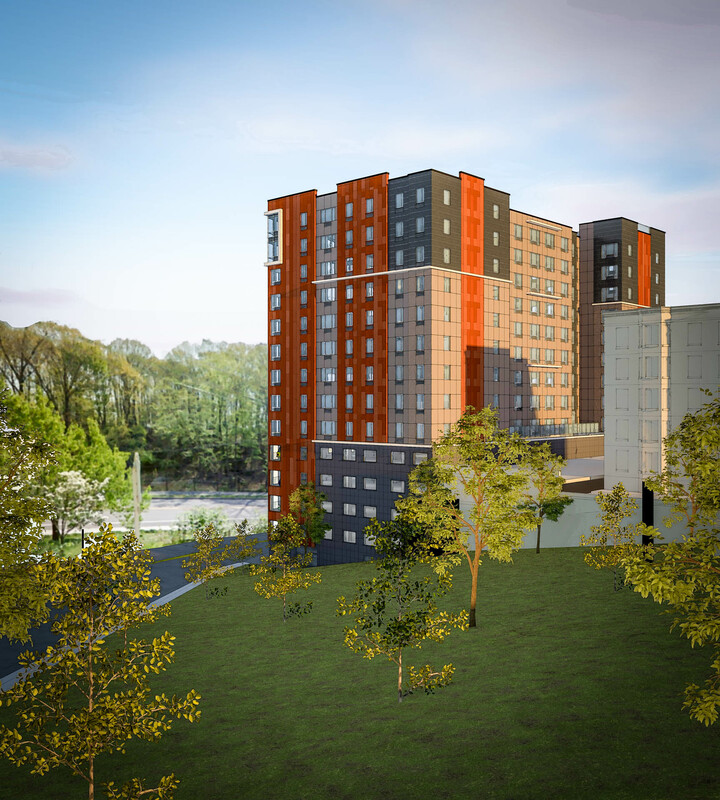 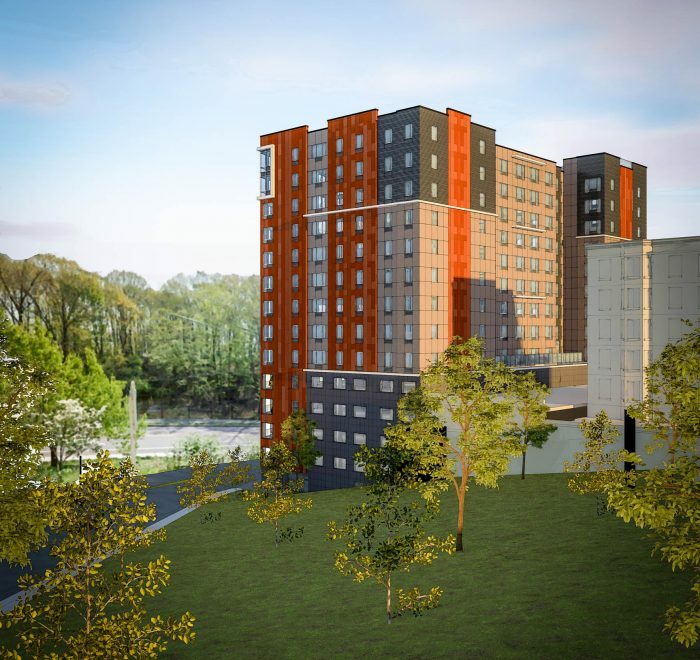 The residential program at Fort Lee offers a mix of 64 market rate apartments combined with 61 units of affordable housing, as well as 4 four-bedroom units aimed at providing housing opportunities for adults with developmental disabilities such as autism. 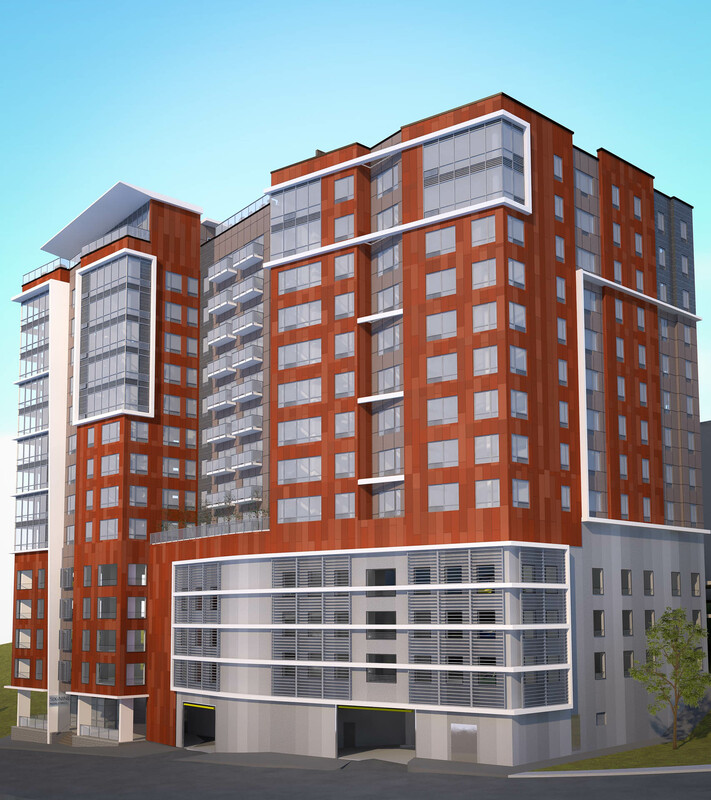 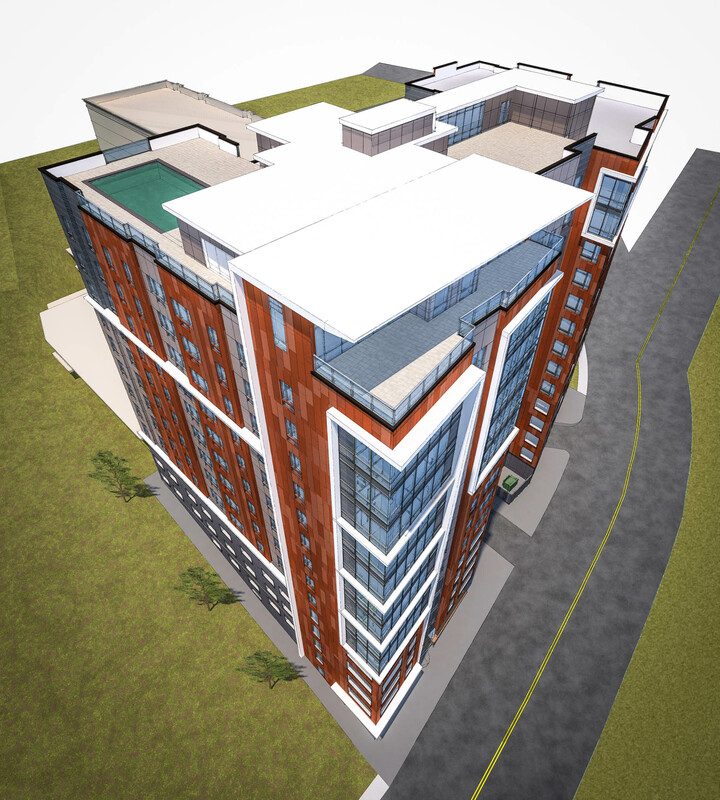 Also on site is an integrated, 5-story parking garage at the base of the structure, providing 150 parking spaces. 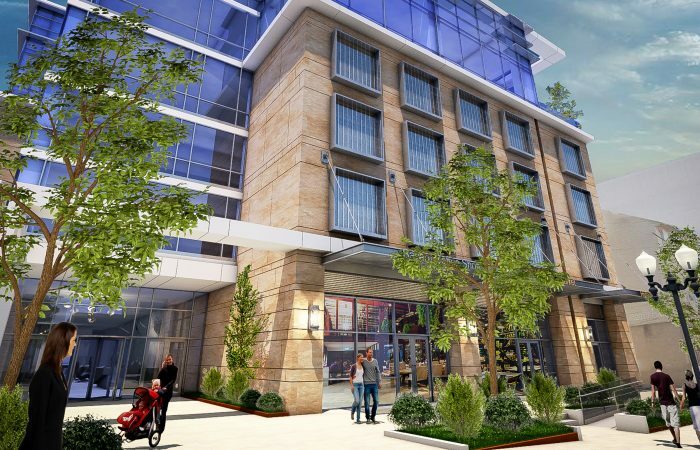 The top floor of the building provides amenity spaces—open to all residents—including an outdoor pool, outdoor terraces, fitness and yoga rooms, and a recreational lounge.